Greek Olympic venues. I am sure that baseball field gets a lot of use. And that state-of-the-art man-made kayaking course and associated stadium sure seem to be contributing a lot to GDP. The whole world patted Greece on the back for completing this boondoggle when in fact we were just enabling an alcoholic, congratulating Greece for, in effect, driving home safely after drinking a fifth of tequila. It is kinda surprising that they were unable to use more of the stadium. I have seen the grounds for the 1972 Munich Olympics and they converted the pools into public swimming pools, the Kayak area is now a nice lake surrounded by a grassy picnic area. I was a bit young when I saw it so I couldn't tell you how it is all being used, but it sure seems there was very little wasted. There is sadness however for the 1984 Olympic Velodrome at Cal State Dominguez hills. Alas velodrome cycling still has not caught on in the US and the field is a weed strewn wasteland. I notice the diving pool is one of the facilities in disuse in Greece. The Diving pool is used daily as a student pool for lap swims, and for University sponsored diving events and competitions and practice at USC. No waste there. The Olympic apartments and cafeteria for the swim events are now very nice dorms for the USC students. 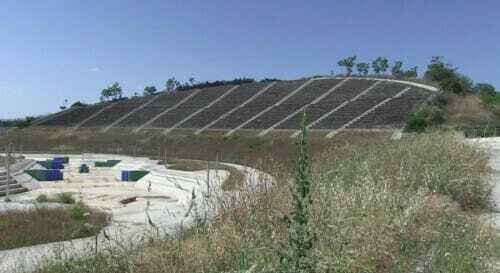 There's no real reuse for purpose-built stadiums. If they don't have a tenant, they become an albatross to the community -- too expensive to tear down because of sunk costs, but not useful enough to really support themselves without a massive subsidy. In summary, here's pictures from Glendale's future. Isn't that the diving pool from "Back To School"? The 84 Olympic velodrome was used continuously for nearly 20 years before being demolished and replaced by a modern indoor track in 2004 as part of the ADT center. The ADT Center regularly host both National and World Cup level events and has a healthy youth program that feeds directly into the US National team. What was once a world-class 333m track has been replaced by an even more world-class and international standard 250m track. It's partly possible to re-use purpose built stadiums, but you have to have a purpose in mind for after the fact, as well as the kind of area population to make use of it after the big crowds are gone. Looks like the Greeks had neither. Are we surprised? Was Sophocles into buggery? What this really needs is an architectural firm and an archi brain to actually build it with both purposes in mind, and the post-Olympic use as the priority. 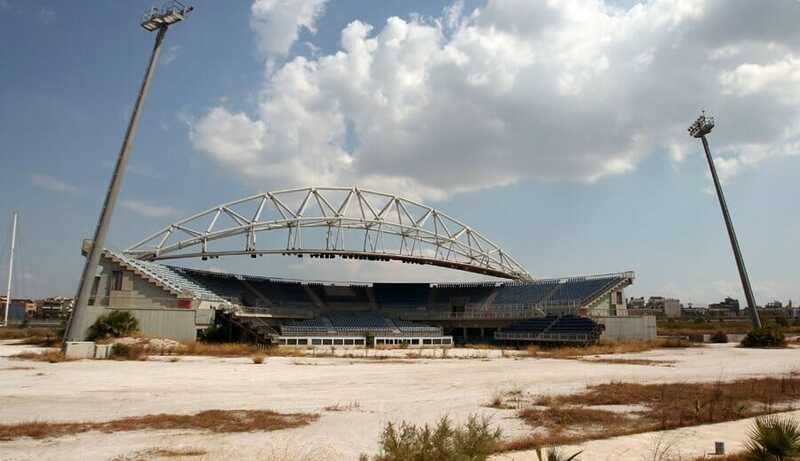 Better a decent stadium for the Olympics that has a great design for post-Olympic use than the other way around. Have you actually seen it? Maybe I saw the practice one. In 1992 it was completely overgrown with weeds. I guess there is one exception that I can think of, Toronto's Maple Leaf Gardens. They managed to repurpose the street level into a large grocery store; and build a new (smaller seating capacity) ice rink for Ryerson University on the upper level. Here's a link: http://www.blogto.com/city/2012/08/the_transformation_of_maple_leaf_gardens/ On the other hand, You're almost better off to realize at a certain point that sunk cost and sentimentality will only work for so long to keep an old building around; and that you're better off with re-developable land than an old stadium. As I mentioned below, somehow Munich managed to turn it into a city center still used for community purposes. Tourists still go to visit the facility. I think it just needs a bit of planning and thinking how the facility should fit in with the community. 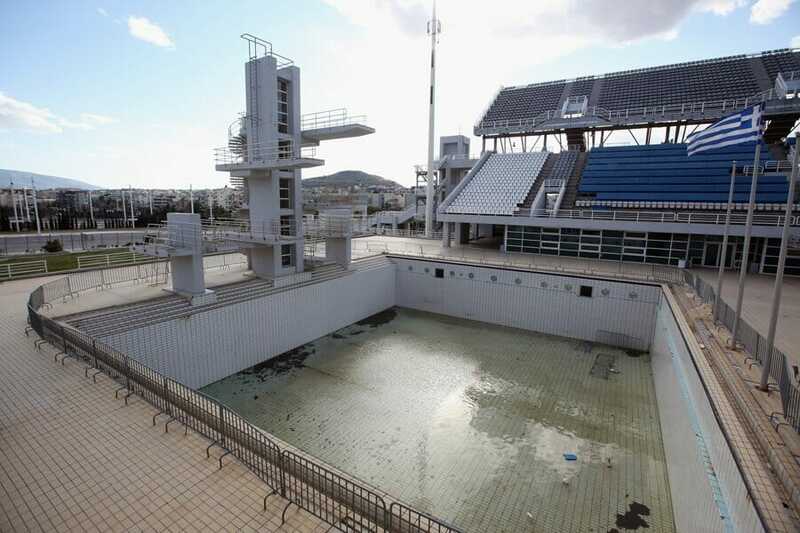 There is no reason that pool could not be used as a community pool for the people of Greece. Tragedy of the commons in a culture where graft and tax avoidance (not the legal variety, though) are the rule, rather than the exception. One, I have pointed out two. Munich Community Center, LA pool area converted to student dorms/gym. And now you point out Toronto. I think the point is that the games do go on at a loss, but if there is proper planning as was done in at three cities most of the facilities can be reused. An example: If San Diego put in a bid. 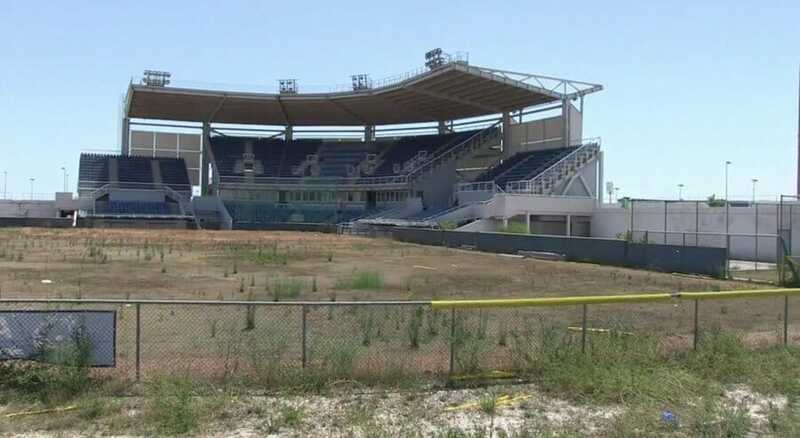 They would probably build a new large stadium for the ceremonies and the soccer and various other field games. San Diego has been trying to get a new stadium for the Chargers/Aztecs for years - the Olympics would be a good opportunity to get a stadium, and get extra use from football games. Rowing events could be done in Balboa park - city would end up with a a nice lake in the park - The city also wants a new convention center, it could be built for the indoor events like gymnastics and weight lifting. In the end I would still probably oppose the project - but in this case it would allow San Diego to get all the facilities they already consider to be needs built up. There wouldn't be much waste. I think ATL did a great job with its building alllocation. Either the facility already existed for a reason or was planned for specific use upon completion.